One of the biggest problems we had when we started using cloth diapers was finding the right fit. 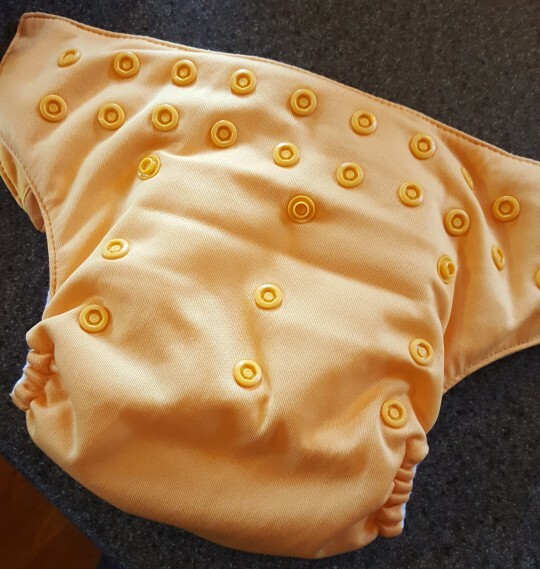 The diapers are adjustable for babies and toddlers 8-35 pounds by sizing them small, medium, or large. Small is recommended for 8-16 pounds, medium is 17-22 pounds, and large is 23+ pounds. That’s a great starting point, but we found it’s not perfect. For example, if your baby has thinner legs or a smaller waist, you may need to go down a size. Likewise, if your baby has chubby legs or a larger waist, you’ll probably have to go up a size. And, what fits one week may not fit the next, so you have to adjust as needed. 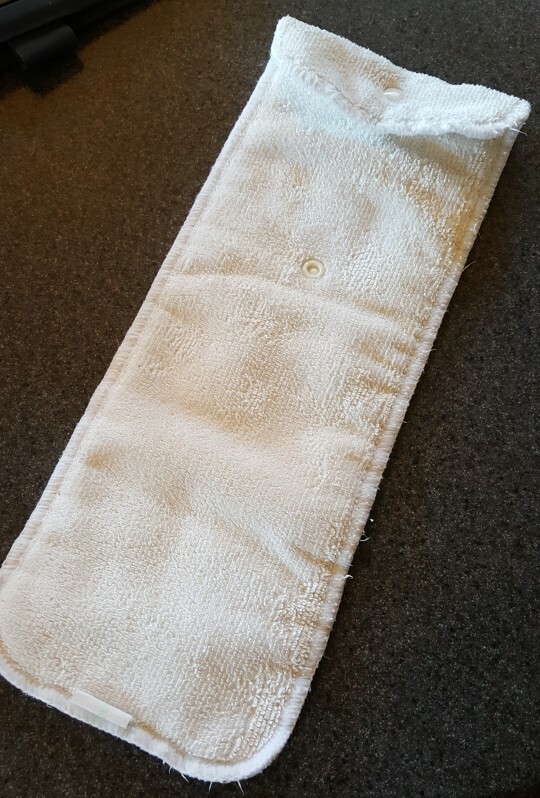 Simply snap up from the bottom to make the diaper smaller, and unsnap to make it larger. The photos below show a diaper sized at large and then at small. 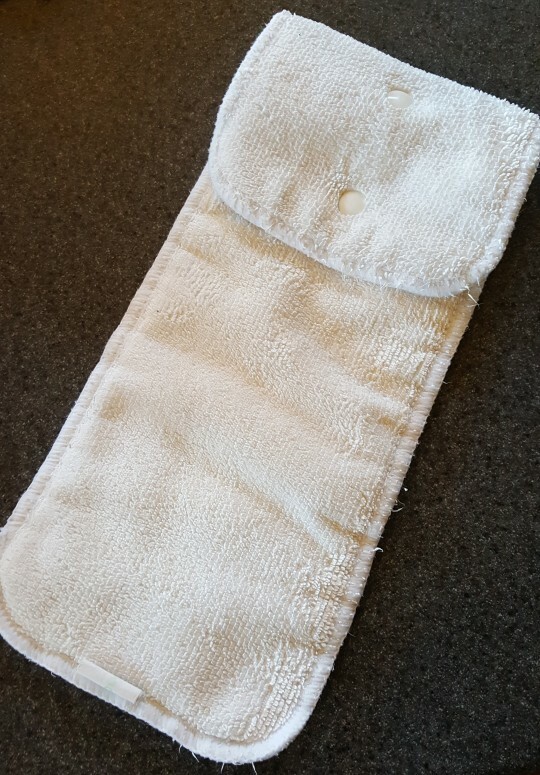 If you’re using the pocket-style diapers, then you’ll also need to size the inserts. You’ll notice they have snaps for that. Leave it fully open and unsnapped for size large. Snap down one for medium, and snap down two for small. See the photos below. How you stuff the insert into the diaper shell is really up to you. Since we have a boy, we put the folded part in the front. For girls, I would put the folded part in the back. 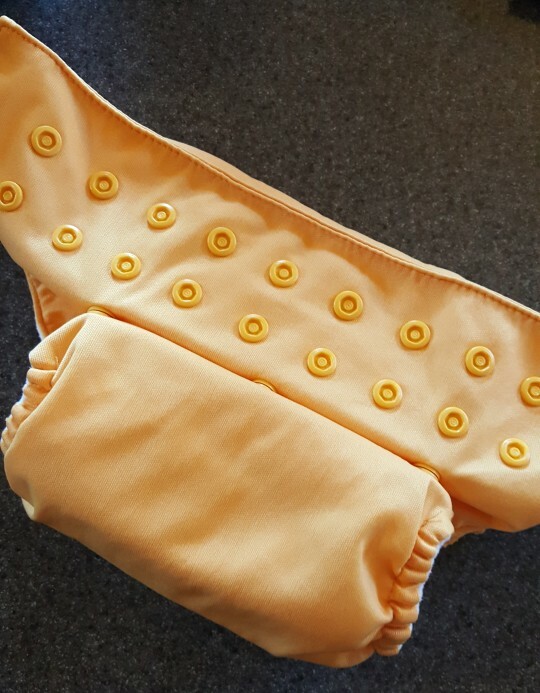 Additionally, you want the waist of the diaper to sit as flat against the baby’s stomach as possible (that’s one of the reasons I prefer the all-in-one style; it does it naturally). With the pocket style, due to the nature of its design, the insert can cause some bulk. 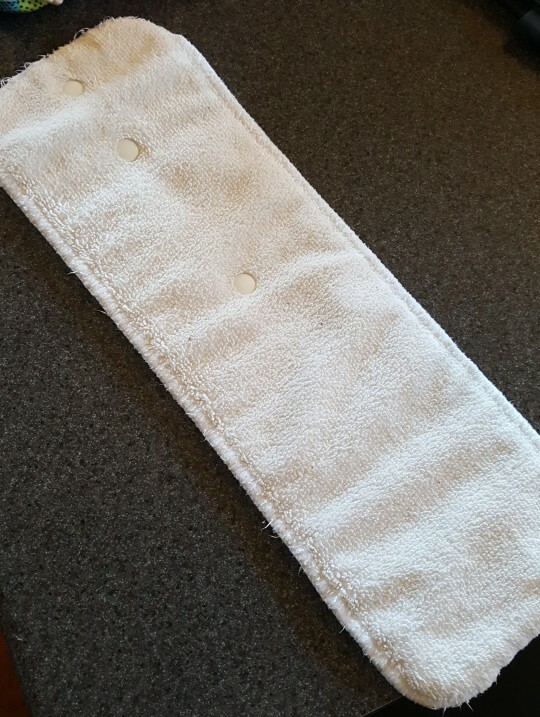 You want the insert to NOT go passed the white part of the diaper so the waist of the shell (the colored part) can lay flat against the skin. 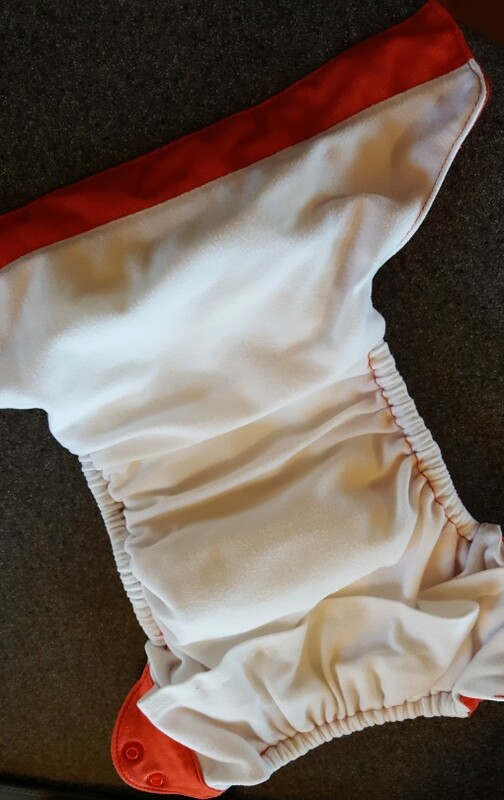 In the photo below, you would want to stuff the insert without pushing it up into the red portion (top of photo) of the diaper shell. I’ve always said it would be nice if they had just sewn that shut so you couldn’t actually push it all the way to the top. If you are having issues with leaking, check out this post for more tips.